This replacement gel is for detrivores. It is calcium fortified, extremely firm, and long lasting. 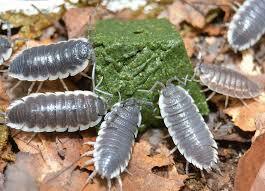 Can be fed to isopods, springtails, and other insects that feed on detritus. INGREDIENTS: Cellulose Powder, Dried Seaweed Meal, Alfalfa Leaf Meal, Spirulina Algae, Rice Protein Concentrate, Pea Protein Isolate, Stabilized Rice Bran, Dried Brewer’s Yeast, Dried Kelp, Stinging Nettle, Locust Bean Gum, Calcium Carbonate, Potassium Citrate, Malic Acid, Taurine, Garlic, Watermelon, RoseHips, Hibiscus Flower, Calendula Flower, Marigold Flower, Paprika, Turmeric, Salt, Calcium Propionate and Potassium Sorbate (as preservatives), Magnesium Amino Acid Chelate, Zinc Methionine Hydroxy Analogue Chelate, Manganese Methionine Hydroxy Analogue Chelate, Copper Methionine Hydroxy Analogue Chelate, Selenium Yeast. Vitamins: (Vitamin A Supplement, Vitamin D Supplement, Choline Chloride, Calcium L-Ascorbyl-2-Monophosphate, Vitamin E Supplement, Niacin, Beta Carotene, Pantothenic Acid, Riboflavin, Pyridoxine Hydrochloride, Thiamine Mononitrate, Folic Acid, Biotin, Vitamin B-12 Supplement, Menadione Sodium Bisulfite Complex).Acid, Biotin, Vitamin B-12 Supplement).